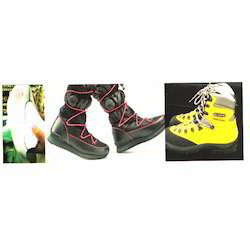 We are involved in making many ranges of Shoe Linings products like Strobel, Vamp Linning, Heel Grip, Needle Punch felts, Safety shoe lining etc. Our Fabrics are widely all over India in big markets like Agra, Kanpur, Chennai, Kolkatta, Delhi, Etc. Our Shoe Linings have High Strenth, Easy Washability and is widely used in Vamp Lining, Heel Grip and Safety Shoe Uppers. 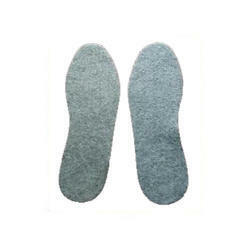 Needle Punch Felt is widely used in Shoe Soles and Inners or Linners. We can use of Natural and Synthetic fibre blends enabling to absorb Sweat and Moisture which helps in preventing bad odour and long lasting use of the Shoe. 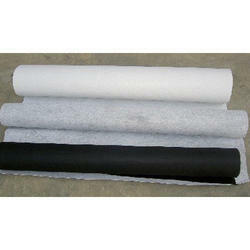 Our Non Woven Shoe Lining is widely used in all safety Shoes. GSM Available from 180Gsm to 400Gsm. Colour: White, Black, Grey, Beige Brown. 100% Polyester and available in White, Black, Grey, Cream Brown Colour. Our Wemp Lining are suitable for Safety shoes and have Certification from Intertek India Pvt. Ltd.
Packaging Details: Double Packing in LDPE and Woven HDPE Sacks.